A few weeks ago I finally finished up binge-watching the DC Comics Shows (also referred to as a the Arrowverse). I happened to time it perfectly for the premieres of “Supergirl”, “The Flash”, “Legends of Tomorrow”, and “Arrow” next week. Now I’m not a DC Comics guru by any stretch (most of what I know is from movies in the past ten years, “Smallville”, and cartoons), but there are a few things I think it’d be cool to see in this next season of the Arrowverse. Full disclosure: No intended spoilers for the new season. However, I can’t promise that I won’t give spoilers to the end of last year’s seasons. All of this is just wishful thinking and possible speculation of what could happen. Justice League: So the new Justice League movie comes out this fall and while it’s kind of been established that those big names (Superman, Batman, Wonder Woman, etc) will stay on the big screen and the others will stay on the small screen, it would be cool to see cameos by these characters. In fact, in conjunction with the Justice League movie coming out I’d love to see them appear, maybe in the crossover. I’m aware that this isn’t gonna happen, but I can wish. According to the posters, the movie will have Wonder Woman, Batman, Flash, Aquaman, Cyborg, and Superman. The Arrowverse already has a Flash and Superman, but the other four could all have cameos in the four shows (Batman in “Supergirl”, Wonder Woman in “Arrow”, Aquaman in “The Flash”, and Cyborg in “Legends of Tomorrow”) and then have the whole team appear in the crossover. It’s almost guaranteed not to happen, but I think it’d be cool. 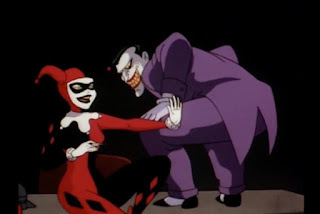 Joker and Harley Quinn: So since I’m already suggesting having Batman in “Supergirl”, why not have the Joker? Gotham has been referenced in Supergirl’s Earth, so it’s logical to assume he exists there at some point. And after he’s introduced we could have an “Arrow” and/or “The Flash” crossover to show him meet and have his dysfunctional relationship with Harley Quinn. I suggest a crossover since Harley Quinn was referenced to be with ARGUS on “Arrow” (she offered to give Diggle and Lyla counseling from her cell in “Suicide Squad” in Season 2). So have Batman and the Joker crossover into Star City. That could be fun right? Backstories: With Oliver Queen’s missing five years concluded, the suspicion is that we’re gonna get backstories from other characters now. I’d love to see backstory from some minor characters. How did Paul and Curtis meet? What were Felicity’s growing up years like? And what childhood trauma could possibly explain why Merlyn is so crazy? 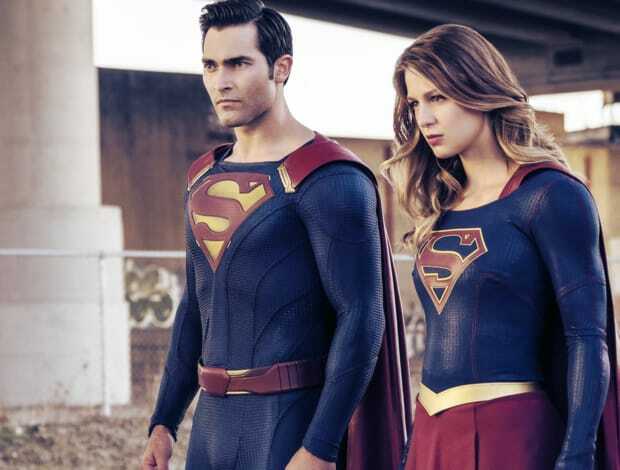 More Superman: We already saw some Superman in Season 2 of “Supergirl” but I’d love to see more of him. Regardless of the rest of the Justice League, I would love to see him in the crossover episode. Maybe get some backstory on him and the Kents after he arrived from Krypton? We kind of have a cocktail of Superman stories vaguely mixed together to give us his history with Lex Luthor, but I’d kind of like to see a little more of what happened there. 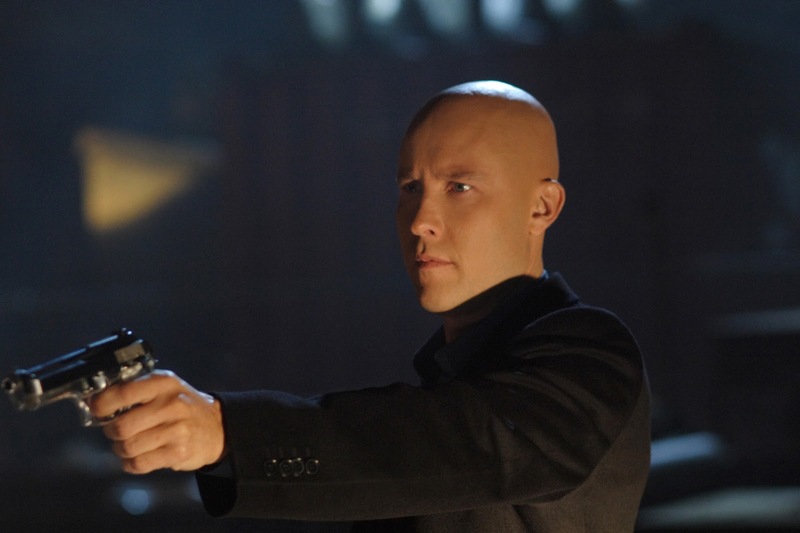 Speaking of which, let’s see some Lex. Any chance we can pull Michael Rosenbaum in to take the role back? Hawkgirl and Hawkman: It’s been a year since they left the Legends, so it would be interesting to see them again. How is their fated love working out? Whether it’s with the Legends or with another set of heroes, I’d love to see them turn up again. Just don’t have anything between her and Ray again. I didn’t care for that. NOT Another New Wells: We’ve had three incarnations of Harrison Wells so far, including Thawne. I’ve heard he likes to play a variety of characters, but I would like to have some consistency. The character changing up too much gets frustrating for me. With Jesse on Earth 3 to replace Jay, maybe we could have Harry back to help Team Flash again? He’s my favorite of the Wellses anyway. HR was…. Meh. Superman Villains: I don’t know what is planned for next season of “Supergirl” obviously, but I would love to see some Superman villains make (at the very least) cameos. Zod, Lex (as I mentioned above), Braniac, etc. would all be cool to see. Maybe not as big bads, but for short, substantial story arcs in the season. I suppose the same could be said for some other classic DC villains. Why not have some big names attack Central City and Star City too? Problem is that most of the ones I know are Superman and Batman villains, which I’ve chosen to put in the “Supergirl” Earth. Smallville Cameos: Like I said before, Smallville is where I know most of my DC Comics stuff. I'd love to see some of the actors return for cameos. 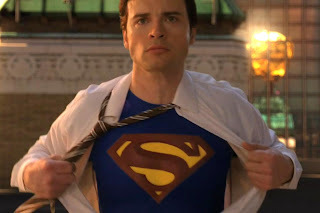 Maybe have Tom Welling meet Kara? Kyle Gallner (Bart Allen) could meet Barry. Lots of ways this could work. Smallville could also be another Earth in the Multiverse I suppose. A Speedster-Free Year: Besides Barry, Wally, and Jesse that is. We’ve had three speedster villains in a row as the big bads in “The Flash”. In some ways I actually expect them to break this pattern with the new villain. However, I wouldn’t be surprised if they still throw in a speedster somewhere. Please no. I love the speedsters and all, but unless it’s a Kryptonian sneaking across a breach, I would prefer to not see an antagonistic speedster in this season of Flash. Historical Figures: One thing I've enjoyed among the mundane aspects of Legends of Tomorrow is the inclusion of historical figures. HG Wells, George Lucas, King Arthur, George Washington, JRR Tolkien, etc. There are infinite figures we could see. 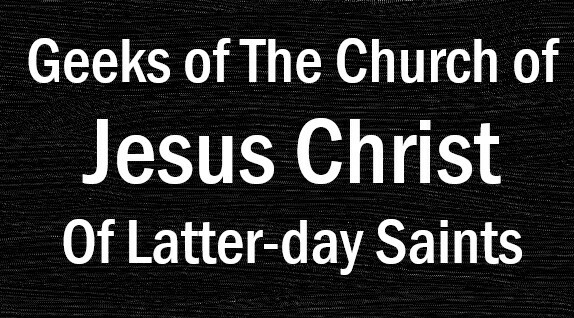 Just a few I'd like off the top of my head include CS Lewis, Winston Churchill, Shakespeare, etc. Another SLC Comic Con has come and gone. I’ve done many of these post-Con posts before, so I’ll just keep it simple with some highlights of my weekend. Meeting Catherine Tate: You’ll know her from Doctor Who, her sketch comedy show, or the Office most likely. She’s hilarious as a comedian and she’s sweet as a person. She came half an hour late to our autograph signing, apologizing profusely, up and down the line, because she’d been caught up at the Humane Society. Not only that, but when we told Catherine Tate that the autograph we were getting was for a coworker who couldn’t make it, she gave us both a gratuitous autograph for ourselves as well. Am I bovvered? Absolutely not. Cosplayers: As always cosplayers are one of my favorite parts of a Con. I posted several on our Mormon Geeks Facebook page over the weekend, but here were a few of my favorites: Captain Canada (yes, he’s a legit character), Galinda and Elphaba, the USS Enterprise, Pacha and Kuzco, and the Flash and Vibe. I also had a bit of cosplay inspiration of my own, which made me happy. As I’ve written before, I enjoy doing my cosplays as cheap and simple as possible. I impressed myself in being able to throw together a couple t-shirts in my closet and my Mario overalls to make a Wreck-It Ralph costume. Cosplay can definitely be cheap guys!! Stephen Amell Panel: Some quick highlights from the Stephen Amell panel. · If he could create a superhero from scratch, he would be Superdad. So cool to see him and his wife on that panel, showing himself as a family man. · He really enjoyed the script for the crossover this year. I guess it felt like a more cohesive story, instead of feeling like individual episodes of different shows. · If he could bring a dead character back, it would be Tommy. · If he had to pick between Arsenal and Speedy, he said he’d pick Arsenal, because of the familial connection with Speedy. Catherine Tate Panel: Some more notes. The notes WILL NOT do her justice. If you ever get the chance to see her at a Con, just go. You’ll thank me later. · I asked her what she thinks Donna’s been doing since she got married at the end of the Tenth Doctor era. She thinks Donna spent all her lottery winnings pretty quick and now she’s back to being the best temp. · Some of her favorite stories to film were “Runaway Bride” and “Partners in Crime”. · She doesn’t really do any of the Sci-Fi stuff personally, but if she had to choose she’d choose time travel over space travel. So much more fun to have with history, instead of some other world where they can make up their own rules. · She started doing conventions this year because of John Barrowman. · She didn’t know how Donna’s story was going to end, but it was a good, solid ending and she approved of it. · For her comedy and acting work, she takes personality quirks from people in her life and turns them into characters. · She said it was magical to work with David Tennant AND she said she’s going to drag him to Comic Con. What were your favorite parts of Comic Con? What was your favorite cosplay this weekend?